Active Directory auditing is an important part of ensuring compliance and the security of the IT environment. 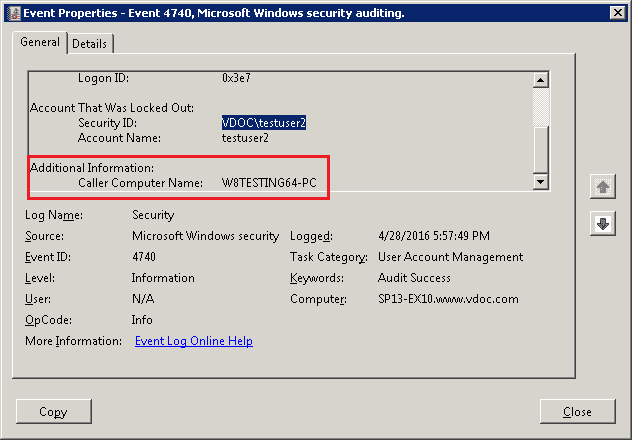 However, a common problem that Active Directory auditors face is how to identify the source of account lockouts. If a user account gets locked out for any reason, such as password modifications, may result in downtime and it can often be a time consuming and frustrating process to get the AD account re-enabled. 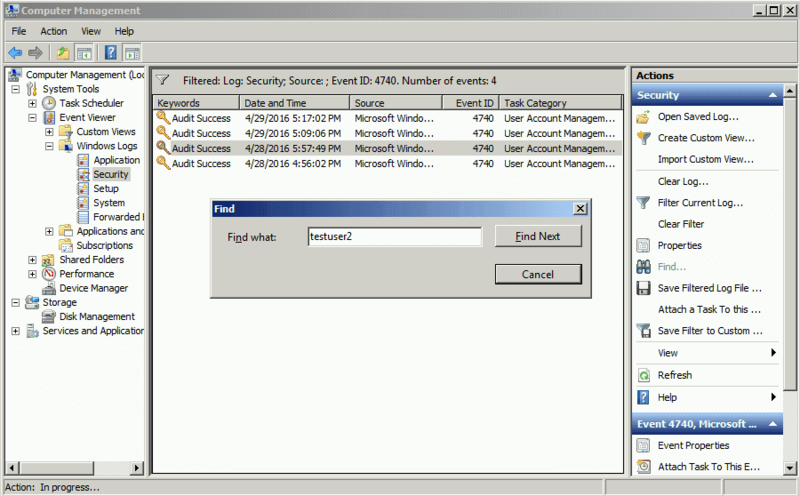 Follow the below steps to track locked out accounts and find the source of Active Directory account lockouts. If you already know the lockout account in question, you can start directly from step 5 (to track source). Search for the DC (Domain Controller) having the PDC Emulator Role. Get-AdDomain – Running this cmdlet will search for the domain controller having the role of a PDC emulator. 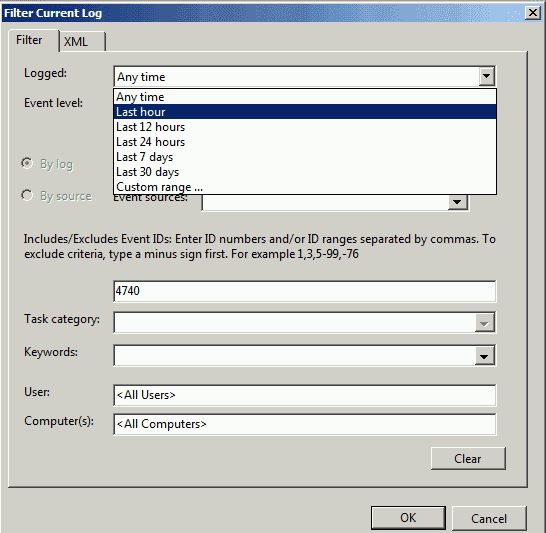 Open the event log viewer of the DC. Go to the security logs, and search for the Event ID 4740. 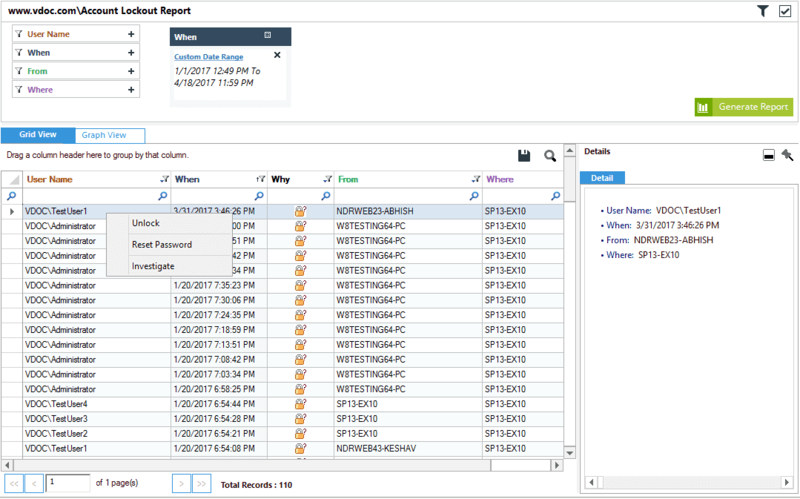 There are suitable filters to generate a more customized report. For example, you can search for a lockout which occurred in the last hour, and find the recent lockout source of a particular user. Click on the “Find” button in the actions pane to look for the User whose account has been locked out. Here you can find the name of the user account in the “Account Name”, and the source of the lockout location as well in the ‘Caller Computer Name’ field. 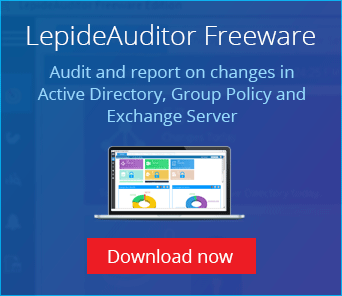 Lepide Active Directory Auditor generates Account Lockout Report where complete information about the event is displayed in a single row. When you right-click on any event, the context menu will give you the following options; “Unlock”, “Reset Password” and “Investigate”. 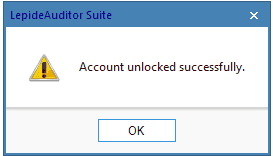 Click on this option to unlock the chosen user account. Once done, it shows the following message. If you want to reset the users’ password, click on the “Reset Password” option. Enter the new password and then confirm it. 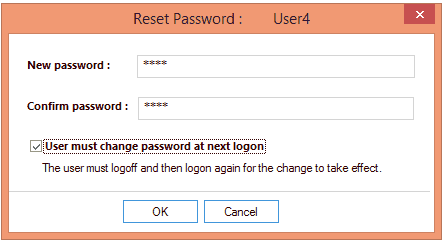 Select “User must change password at the next logon” option to force the user to change the password on the next logon. 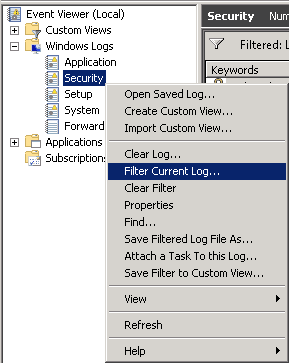 In order to investigate how the user account was locked out click on the “Investigate” option in the context menu. After clicking on the “Investigate” button, “Lockout Investigator” window opens up. 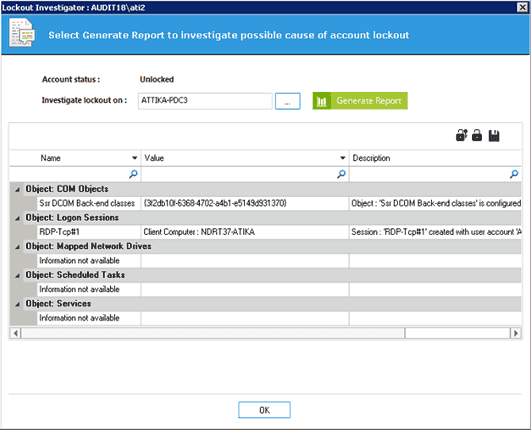 In this window, you can click on “Generate Report” button to generate the report to view the reason behind account lockout.